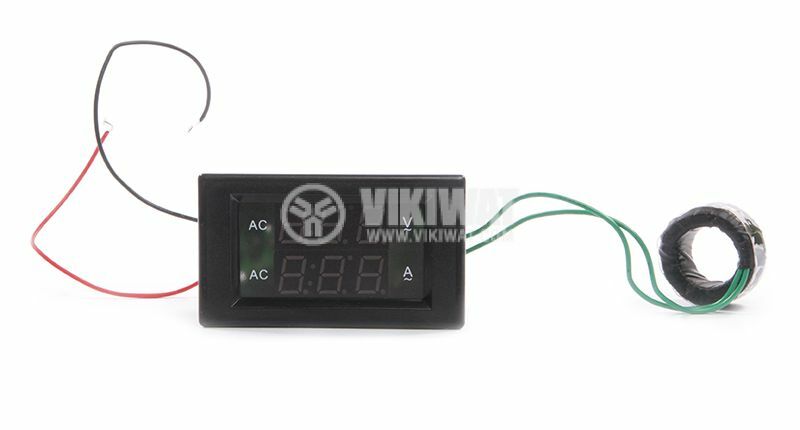 Volt-ammeter 130-500VAC / 1-100A with LED display, with current transformer in the kit. 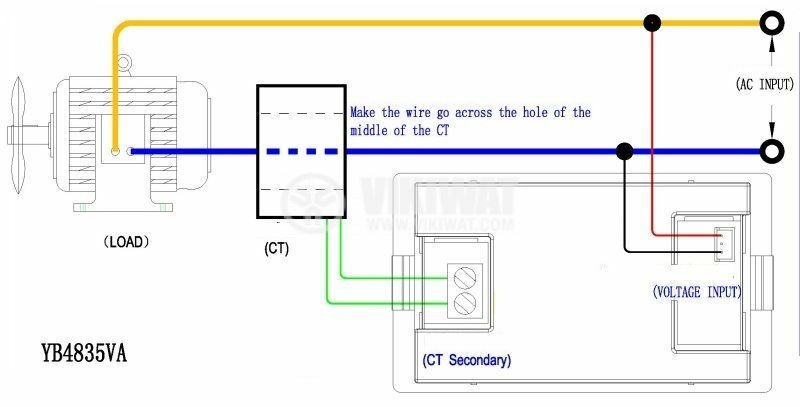 mounting hole dimensions - 62 x 38 mm. The measured voltage is also power supply - the red and black leads. 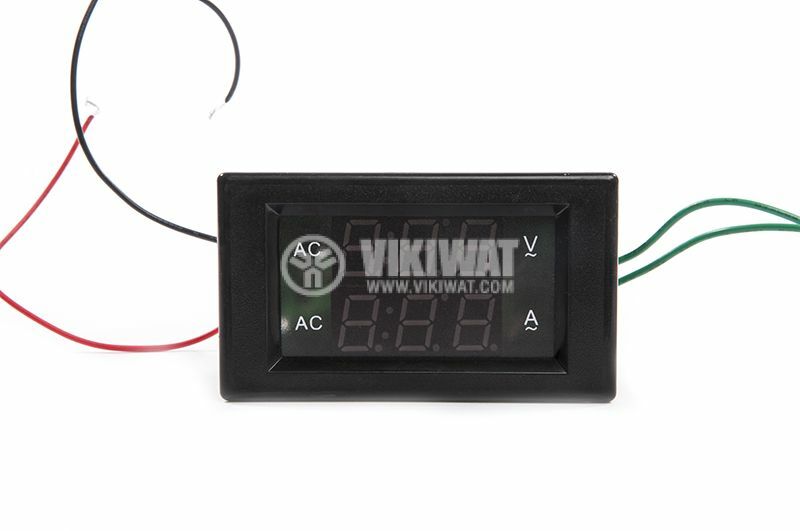 The ammeter can not work without power supply voltage. 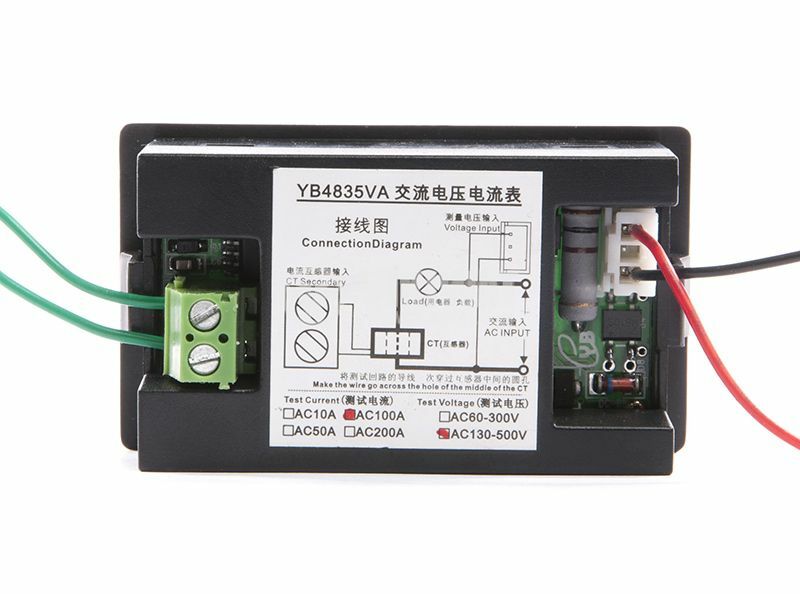 The current is measured with a current transformer.